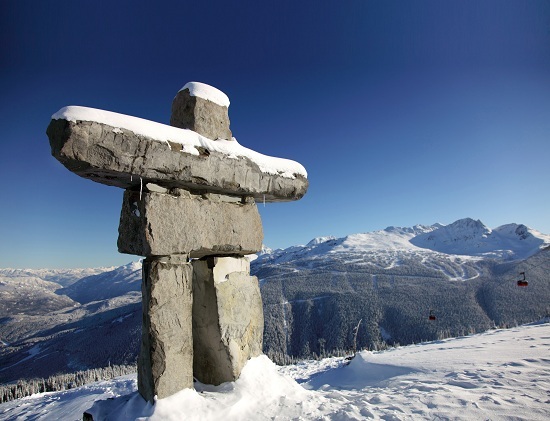 Just an hour from Vancouver, Whistler’s world famous slopes graced the Winter Olympics back in 2010 and the mountain boasts some of the best winter sports in the world. With over 8,000 acres of terrain, it’s impossible to get bored in this winter wonderland. 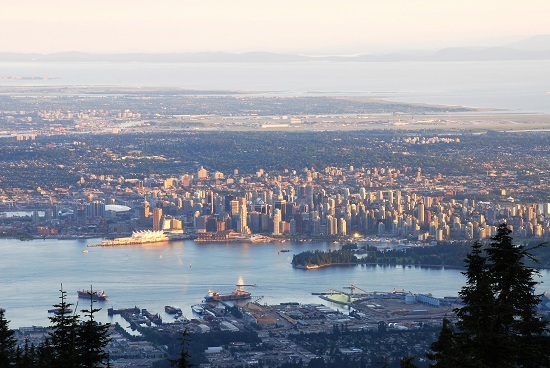 With ski areas for all abilities, activities for those who don’t ski or snowboard and amazing après ski options, it’s no wonder this mountain is so popular with Canadians and tourists alike. Be sure to check out the PEAK 2 PEAK gondola, which transports you 4.4km from the peak of Whistler to Blackcomb mountain (and back again if you wish). Not for the faint hearted, this gondola reaches dizzying heights of 436m above the ground! Small but ever-so-quaint, the city of Québec is as about as European as you will find in North America. Nestling in the shadow of Chateau Frontenac, the postcard-worthy city is right in the heart of French Canada and in fact, residents of Québec will often refer to themselves as Québécois rather than Canadian. 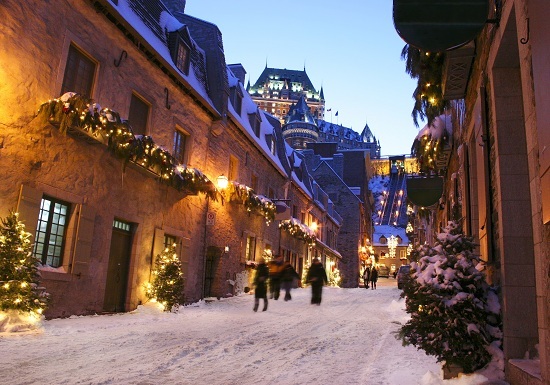 Perfect for a day or a weekend, Québec is best experienced by strolling through its cobbled streets and sampling some of the local fare, such as indulgent Poutine or some fresh fromage. The largest and most populated city in Canada, Toronto is a bustling metropolis in the province of Ontario. The city’s most recognisable building is CN Tower, which held the title of the world’s tallest building before 2007, and where visitors can take in views of the city from the observation deck, complete with a glass floored section for daredevils. 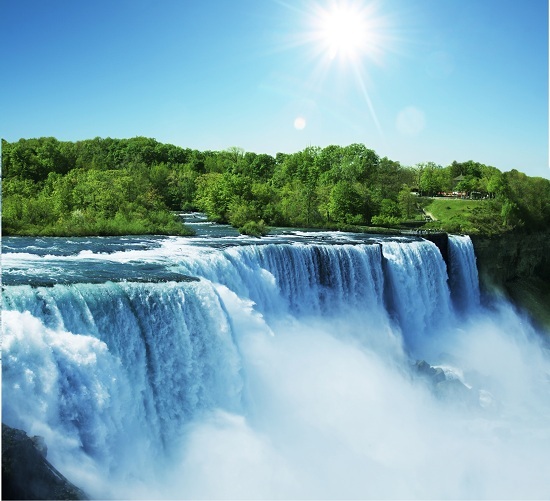 If it’s culture you’re looking for, you’ll find it in Toronto with galleries, design shops and cafes adorning converted warehouses in the Distillery District, and if you have time to wander a little further afield, the magnificent Niagara Falls is just a hop, skip and a jump away from Toronto. There is only one word that can accurately describe the Canadian Rockies: awesome. Enormous mountains rise up on the horizon as far as the eye can see and at their feet lie carpets of greenery and impossibly blue lakes. Lake Louise is probably the most famous, and for good reason, with a view so spectacular it doesn’t quite seem real. The best way to experience the Rocky Mountains is to travel by train; more specifically, the Rocky Mountaineer - a glass-roofed luxury locomotive that transports passengers past some of the world’s most spectacular scenery. Head over to our Most Wanted sale page to see our Canadian holidays (including Rocky Mountaineer packages), with savings of up to 30%.